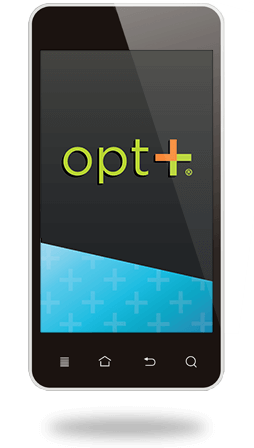 It's easy with the Opt+® mobile app. 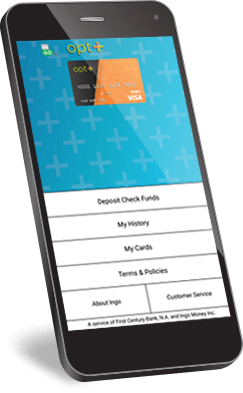 With Ingo™ Money in the Opt+® mobile app, cash your check in minutes, right to your card. 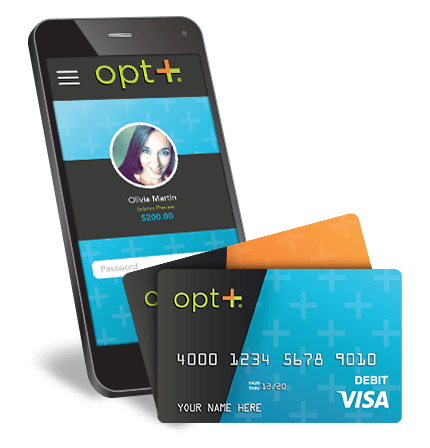 Cash checks on the go with your mobile phone or tablet via the Opt+® mobile app! Available for Android™ and Apple®. 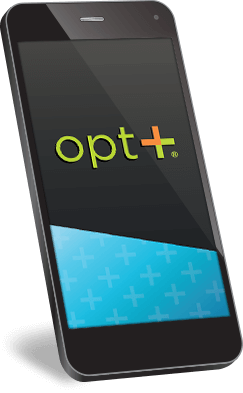 Download the Opt+® mobile app! 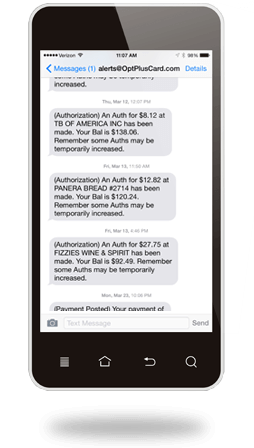 Check your balance, transfer money, and more! 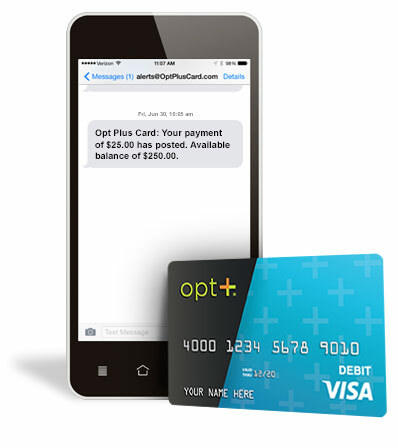 Load or unload your Opt+® card at no charge at any Speedy Cash or Rapid Cash location! Speedy Cash has locations nationwide; to find a store near you click the button below. 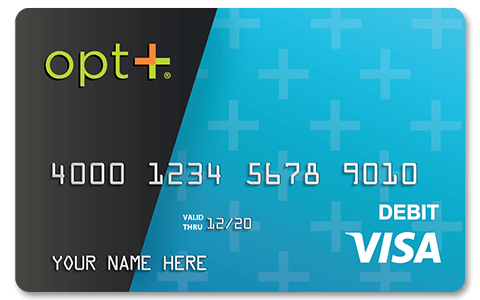 Have all or some of your paycheck deposited directly to your Opt+ card. To sign up for direct deposit, login to your online account, click here to download your form, then submit your completed form to your payroll or benefits office. 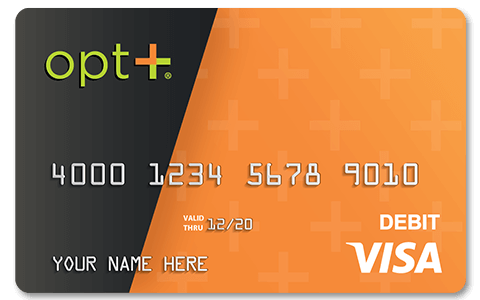 Choose the Opt+® prepaid Visa® for you. Manage your money here, there, anywhere. 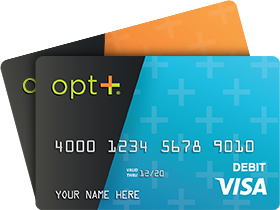 Apply for an Opt+® Visa® Prepaid Debit Card today!